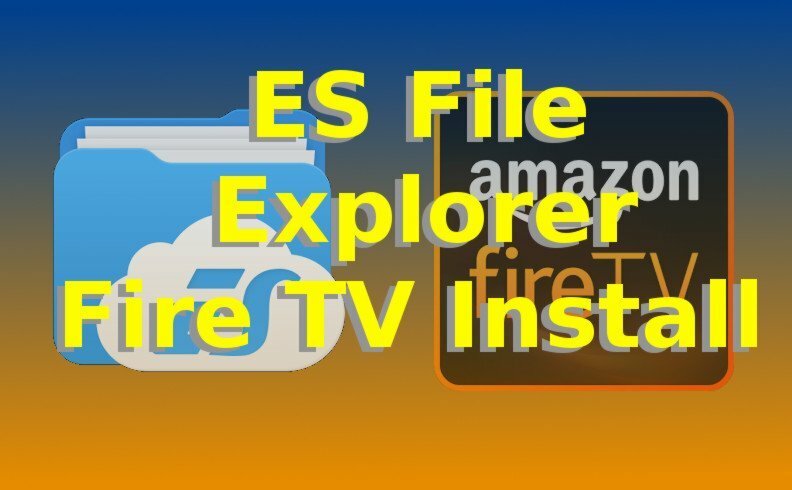 This step-by-step quick guide will show you how to find and install ES File Explorer Fire TV version. [easyazon_link identifier=”B008K6HN8I” locale=”US” tag=”arizonacaorg-20″]ES File Explorer[/easyazon_link] has been instrumental for people who want to install Kodi. This is because ES File Explorer gives us a proper file manager which should be included in the Fire TV anyway (mistake by Amazon?). Either way, ES File Explorer lets us install Kodi on FireStick & Fire TV easily. Using the FireStick / FireTV remote, enter “es file” into the Search box. After you entered “es file” into the search box, select the “Enter” button to Search. Problems with ES File Explorer Fire TV Process? Your network signal could be very low, causing the Download process to fail. To fix this, check to make sure your router isn’t overheating. If so, place a fan next to it to cool it down – then try again once the router is cool to the touch. The FireStick / Fire TV could be too low on storage space. To fix this, Reset to Factory Settings. Your FireTV could have other file issues. Once again, you can fix this by resetting to factory default settings.